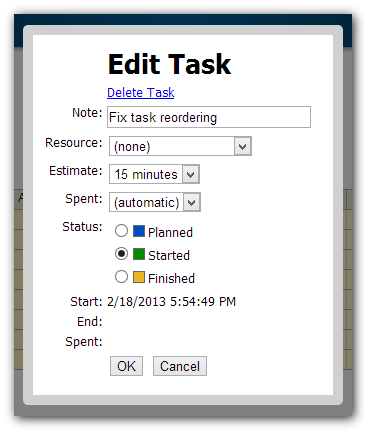 ASP.NET web application for creating fast project time to completion estimate. It displays a project overview using a Gantt chart. Resource schedule and availability is displayed in a Resources view. The source code of this sample project is licensed under the Apache Software License 2.0. This sample project management ASP.NET application allows to create fast project time to completion estimate. It displays a project overview using a Gantt chart. Resource schedule and availability is displayed in a Resources view. This project uses the basic Gantt chart from DayPilot Lite (open-source). 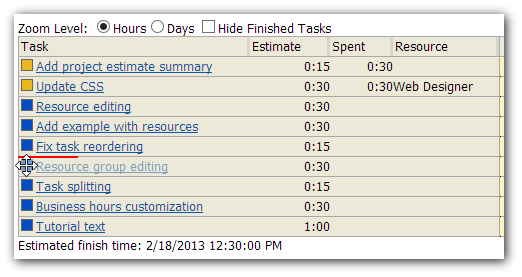 The main view is based on DayPilot Scheduler Lite in Gantt mode. The Plan class arranges the tasks into groups by resource and arranges them into a timeline. It takes the business hours (8-17) and weekends (Saturday, Sunday) into account. All events are added to a single List. The task start dates are not fixed. Instead, a dynamic schedule is calculated and updated every time you display the Gantt chart. You can set the priorities by dragging the planned (blue) tasks up or down. The new task popup is displayed using DayPilot.Modal dialog (open-source). The time spent can be updated manually at any time. If the task was started manually it will use the real time between start and finish. If the previous status was "planned" it will use the estimated time. Note the time summary below the form. Note the start and end time of the task. 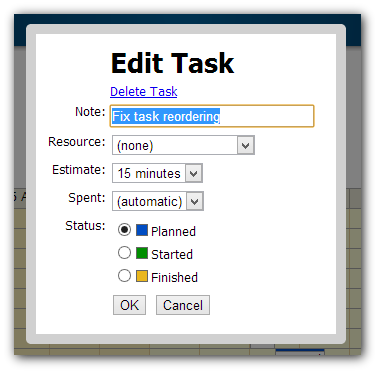 You can also define a set of resources (people) and assign them to the tasks. The resources can be arranged in groups. 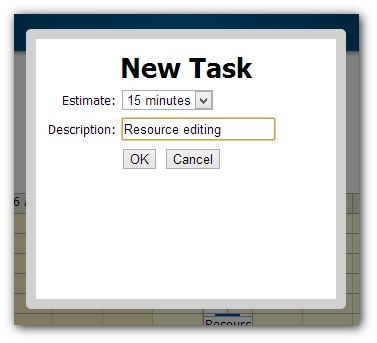 The resources view will display the schedule for each of the resource.